AADHAAR became the number one identity and address document for Indian residents now. Ever since AADHAAR was introduced by UIDAI, it has been gaining popularity as well as has been criticized for the mandatory linking with bank account, PAN and other services, and the data security. There are various services we can easily access now with AADHAAR. Also, the Direct Benefit Transfer services from government also require you to have AADHAAR and your bank account linked to it. For example, the gas subsidy, scholarships, pension etc. When we enroll for AADHAAR and it is generated, we get a physical copy of the AADHAAR card delivered at the address provided while enrolment. Once the AADHAAR is generated and a mobile number is linked to it, we can use the e-Aadhaar wherever we want. e-Aadhaar is as valid as the printed AADHAAR from UIDAI. 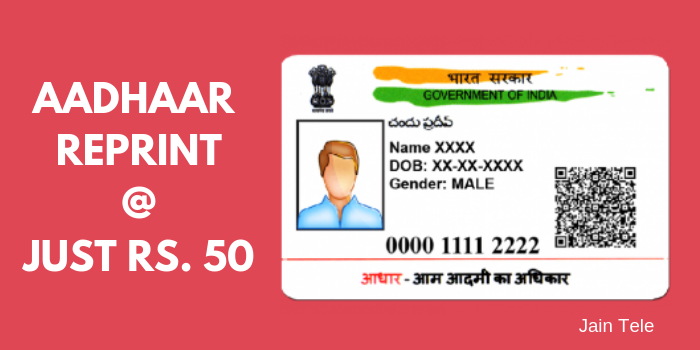 In this guide today, I’ll be showing you how you can get your AADHAAR reprinted and delivered at your address at a nominal price. This service is launched on pilot basis by UIDAI. Why do we need a re-print of AADHAAR? This question is obvious. As I mentioned above, the copy of e-Aadhaar is as valid as the original copy of Aadhaar. Then, why do we need re-print of AADHAAR? Access to the registered mobile number. If a mobile number if not registered with your Aadhaar or you do not have access to that mobile, you can request an OTP to non-registered mobile number as well. However, if you are using mAadhaar already, you can generate the TOTP and use it login to this service. Note: The current charges for getting a reprint of Aadhaar is Rs. 50 (inclusive of taxes). This includes printing and speed post charges. So, how do I get the Aadhaar reprinted if I have everything ready? 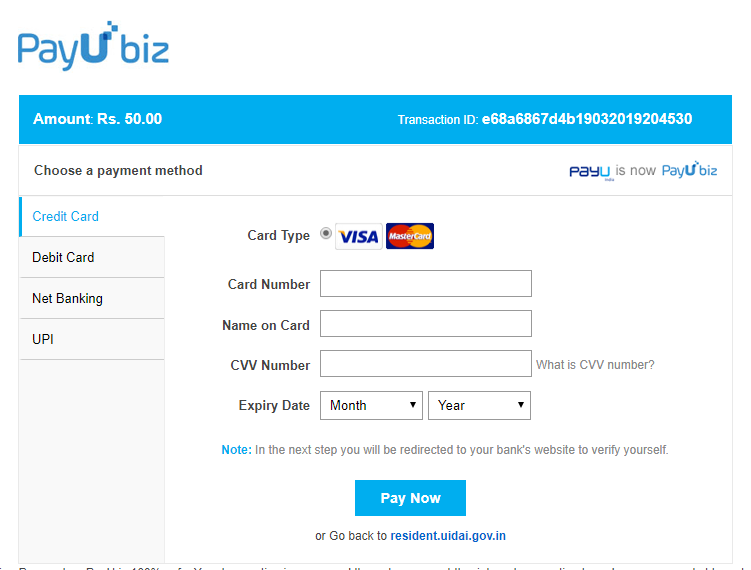 Once the payment is processed, you will be redirected to the UIDAI website. You can see SRN and other details here. You can download the acknowledgment which contains the SRN and other details. Now, wait for 4-5 days (it may take more depending upon the location) to get your Aadhaar letter printed and delivered to your address. Have questions? Drop a comment below and we will try to respond as soon as possible. Is this guide helpful? Why not share with others?